Universal is making a new Doom film, and Nina Bergman is signed on to the project, the actress and singer tweeted this week. 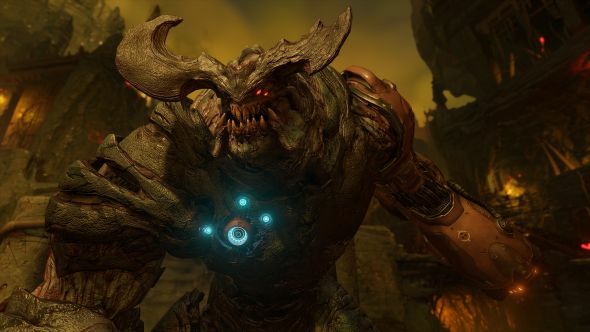 Doom has yet to generate a decent movie, but the 2016 version is on our list of the greatest FPS games on PC. “Wow I’m doing the next ‘Doom’ movie w Universal Pictures! I just signed all the paperwork,” she wrote in the post Tuesday. Bergman says the film is being shot in Bulgaria, which is where her tweet’s location data reported she was at the time. NBC/Universal confirmed the project to Variety, and said Doom’s production is being handled by Universal 1440 Entertainment. It’s Universal’s home video division, which probably means that Doom will be either direct-to-video or available on streaming platforms, and not a theatrical release. The last Doom movie came out in 2005, and not even its stars remember it being very good. The Doom of 2016 did have a bit of a story, but narrative depth wasn’t really the point of the game. So even assuming this new movie is based on the recent reboot, it’s still unclear which Doom story it’ll be telling. We’re just hoping it looks something like the live-action trailer. We’ll let you know as soon as we hear more.